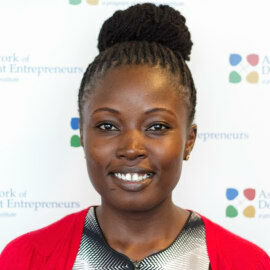 Khatuchi Khasandi - Wanjohi is a Programme Associate at the Aspen Network of Development Entrepreneurs (ANDE) East Africa Chapter. In this capacity, she leads ANDE’s programming in Tanzania and Uganda. Khatuchi also leads ANDE’s East Africa Metrics Learning Lab and INGOs in impact investing Learning Lab. Prior to joining ANDE, she worked with INGOs in both Kenya and Uganda. Khatuchi sits on the B Lab East Africa Regional Standards Advisory Group.